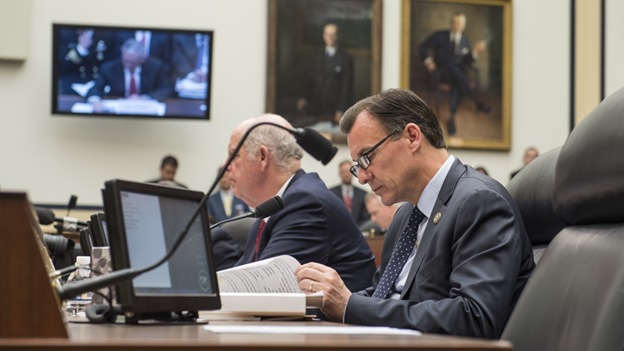 U.S. Rep. Tom Suozzi (D-Glen Cove) said Monday he supports the Green New Deal and plans to add his name to the list of 70 House Democrats who have co-sponsored the legislation. The resolution was written by fellow New Yorker, U.S. Rep. Alexandria Ocasio-Cortez (D-Queens), and U.S. Sen. Ed Markey (D-Mass.). His role as vice chairman of the Problem Solvers’ Caucus, a conglomerate of 24 Democrats and 24 Republicans, could also aid in garnering support from across the aisle. Suozzi declined to issue a statement at the time of publication. The Green New Deal is an ambitious piece of legislation designed to better the welfare of U.S. citizens through social services and policies to combat climate change. Proposals include universal high-quality health care, free higher education, a guaranteed job with living wages and benefits, the cleanup of hazardous waste sites, infrastructure upgrades, a reduction in greenhouse gas emissions and an overhaul of the transportation sector with heavier financing of high-speed rail and public transportation. While the initiative has been met with support from a number of lawmakers, House Speaker Nancy Pelosi (D-Calif.) was less enthusiastic of the resolution.